Department of Family Medicine and Community Health (DFMCH) Assistant Professor Aleksandra Zgierska, MD, PhD, was awarded $8.5 million to conduct a five-year multisite clinical trial comparing the effectiveness of mindfulness meditation with cognitive behavioral therapy in patients with opioid-treated chronic low back pain. The support will come from the Patient-Centered Outcomes Research Institute (PCORI), an independent organization authorized by Congress in 2010. PCORI’s mission is to improve the quality of health care by funding comparative clinical-effectiveness research. Can Mindfulness Meditation Help Reduce Pain and Improve Function? Chronic low back pain has no known uniformly effective treatment. Although it’s often treated with long-term opioid therapy, opioids do not work well for many patients and can cause serious side effects, including addiction, poorer mental health and death due to overdose. Even when opioid therapy is paired with cognitive behavioral therapy, results can be limited. Clinicians, patients with chronic low back pain and their families are very interested in complementary and integrative treatments, such as mindfulness meditation. 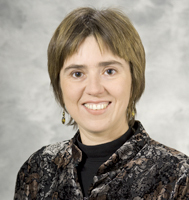 Dr. Zgierska is the principal investigator of the overall study. The three research sites are UW-Madison, Brigham and Women’s Hospital/Harvard Medical School and the University of Utah. More than 750 adults in Madison, Boston and Salt Lake City will be randomly assigned to one of two eight-week treatment groups, either mindfulness meditation or cognitive behavioral therapy. Outcomes will be compared over a 12-month period. Study investigators will also conduct interviews with participants to gather additional information about the effects of the interventions on pain, function, quality of life and opioid use. Patient partners and patient organization and community advocates helped design the study and will participate in finalizing its methods, troubleshoot potential challenges and advise on how to disseminate results—so they can meaningfully inform the decisions that clinicians and patients make about therapy choices.